Our reliable and superfast shipping facilities will not let you wait much and will efficiently deliver the range to your doorstep. Dedicated towards bringing forth the finest and premium quality Rosemary Leaves, we are a well-established Supplier in this domain. 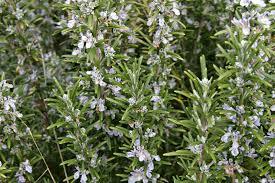 Rosemary botanical name : rosmarinus officinalis rosemary is used as a decorative plant in gardens and has many culinary and medical uses. The plant is said to improve the memory. The leaves are used to flavor various foods, such as stuffings and roast meats.